January is both inspiring and disheartening. As people celebrate the beginning of a new year by trying new and better habits, most won’t have the discipline and inspiration to continue those positive changes. Others still don’t know what they want to do during the year. 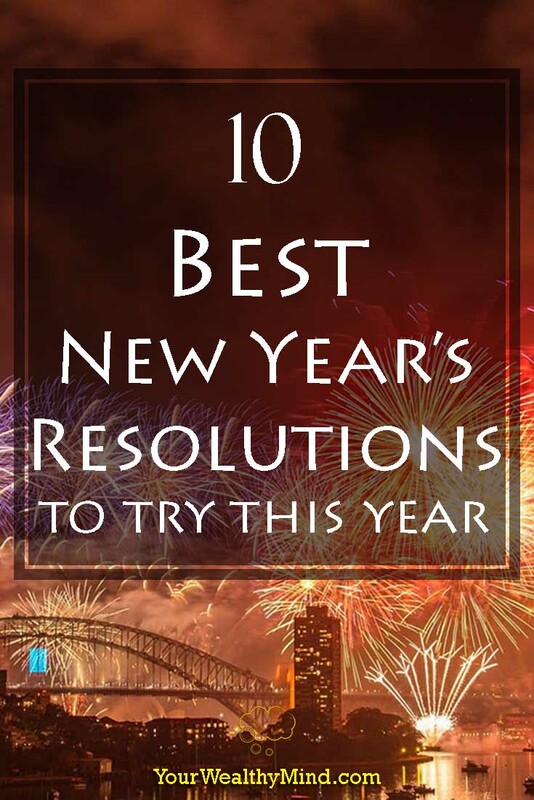 While we’ll each have a different idea on what’s the best new year’s resolution for us, these are 10 things that you might want to add this year. You don’t need to do them all at once, but as these are the classic tips of most self-improvement literature, you might want to give them a shot. Self-development author and speaker Brian Tracy said that success is goals and everything else is just commentary. Whether we like it or not, our life constantly changes. If we don’t take control of that change and ensure that things change for the better, we’ll only be reacting to the problems and challenges that we inevitably face. Before writing this article, I sat down on our dinner table and reviewed the goals I’ve written for the past years. I’ve crossed off all that I’ve accomplished, and revised those that I have YET to finish. That’s something you should try too. Write down your goals and give yourself something to accomplish this year! Ask yourself: “What can I do RIGHT NOW to help me progress on those goals?” Whatever the answer you find, you DO IT! You want to start a business this year? Start writing that business plan, contact banks for loans and rates, list down and calculate what the business needs, ask friends and search the internet for suppliers, learn how to hire employees, etc. You want to become a better leader or manager and get promoted? Volunteer at leading the next project, give great feedback to employees and coworkers right NOW, reorganize your team’s priorities and reassign tasks, start writing the reports you need for next month, etc. 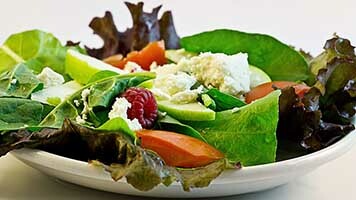 You want to get healthier? Sit up straight on your chair, drink a glass of water right now, grab a piece of fruit and eat it, buy some fruits and vegetables on your next grocery trip, etc. Tom Hopkins said that “Winners almost always do what they think is the most productive thing possible at every given moment.” We all get 24 hours every day. We have to spend those hours wisely if we want to someday become successful. A run-down shack in an alleyway, or a lovely mansion with everything you want and need. Pick dumpsters for food to eat, or have a successful career or business that gives a great income and state of living. Earn enough money to survive, or earn more than enough money to enjoy life to the fullest and help the less fortunate. Either way, you decide what you’ll have and what you’ll be comfortable with. Whatever your goals, whatever your projects, and whatever you decide to work on, DREAM BIG. Only great dreams can give you the power, inspiration, and courage needed to succeed. It’s said that our thoughts become our actions, our actions become our habits, and our habits become our destiny. Stop complaining about your problems as it blinds you to your opportunities and stop envying others for their successes as your negative thoughts will come back to you and keep you in a state of failure. If we want to have success, love, wealth, friends, and greatness in our lives, we have to start by creating and keeping them in our thoughts. There’s a saying that you are the average of the five people you hang out with the most. Spend time with complainers, failures, and criminals and you’ll soon become one of them. Hang out with toxic people who keep trying to pull you down when you succeed and criticize you when you try to earn a better life and you’ll stay in your level of failure. Start by becoming a better person and then spend time with successful people who encourage you, help you stick to your commitments, and offer you assistance and advice and you’ll soon earn their level of success. “You are what you eat” is more than just a saying. Every single cell in your body (and brain) is made from and also runs on what you eat and drink. Imagine riding a Ferrari or a Porsche made of junk iron and cheap plastic. I bet you wouldn’t want to since it’s a disaster waiting to happen. If you don’t want your car to be made of junk, then why should you allow it on your body and mind? How you move and think are affected by your health, so start taking care of yourself right now. Get a full night’s sleep, drink more water instead of soda, eat more fruits and vegetables, stop buying and eating junk food, learn to cook healthy food instead of buying processed fast food, exercise every morning, join a gym or martial arts class, etc. There are so many positive changes that you can make for your health and they’ll improve your performance over the long run. You don’t need to completely overhaul your health habits all at once. You simply need to improve your lifestyle one habit at a time. One thing I’ve learned from the book Your Money or Your Life (by Vicki Robin and Joe Dominguez) is that a lot of us tend to spend our money on things we don’t need since we think it’ll make us happy, but they often don’t. For example, I remember obsessing over a VR Headset for an entire week and I eventually bought it for several dollars… and using it only once or twice the entire year. Almost all of us have things we buy for the enjoyment of spending and not for the benefits that item has. For some, it’s having a brand new shirt or dress, a new gadget or videogame, or something else. We have to avoid unnecessary wants and spend our time and money on things that really matter. The things that give us real and lasting benefits. What do you do right now to make money? Write papers and articles for clients and magazines? Develop and market new products for your company? Supervise a couple dozen team members? Whatever you do, isn’t it time to “sharpen the saw” and get better at it? Try some new productivity techniques to accomplish more every day, create a system for capturing ideas and outlining your future articles, try new marketing techniques to sell more and earn more, or study some leadership techniques from CEOs and other experienced managers. Oliver Cromwell said that those who stop being better stop being good. Keep improving your skills or else you’ll be left behind. You got to where you are, your current level of success or failure, because of the things you’ve learned to do. Doctors earn money because they learned to heal people through medicine, real estate agents earn money because they learned to buy and sell properties, and CEOs earn money because they learned to lead entire companies. You got your job and level of income because you’ve learned the skills required for those, and if you want to improve your career and income you need to learn the skills needed for the next steps up. 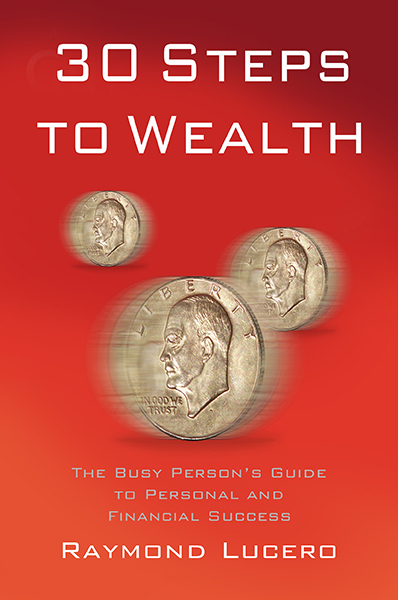 Personal finance and investing to increase your net worth and earn financial freedom? How to buy and sell real estate and build rental properties? How to start a side-business during your weekends to earn more money and eventually become a full-time business owner? It’s all up to you. The more you learn, the more opportunities you’ll find. It’s said that January is the busiest time of the year for gyms and fitness clubs, and a few months later they all fizzle out. Positive changes won’t happen if you never start, and they won’t last long either if you don’t keep doing them. Whenever you want to start a good habit, the easiest way to develop it is by simply continuing to do it for a month. Eventually, it’ll become automatic, like waking up at a certain time every morning to go to work or brushing your teeth before bedtime. Whenever you’ve learned one good habit, then you move on and add the next one. We don’t really need to wait for the next new year’s eve to make positive changes, however the occasion is a constant reminder to keep improving. The best new year’s resolution will be different for all of us, however one trick to make it more effective is to share it with people who will encourage you to stick to it and keep you accountable. Why don’t you try sharing it here? What’s YOUR best new year’s resolution? Tell us about it in the comments section below!